James, known by most as “Papa,” was a Knoxville native. He was a proud member of Open Door Church. He grew up throughout the city of Knoxville. He attended Beardsley and Vine Jr High, and then he later attended both Rule and Austin High. He also attended Knoxville College where he played basketball. He lived through the Jim Crow era, participated in peaceful protests during the civil rights movement and later served in the United States Army during the Vietnam War. These experiences taught him to have a love for ALL people from every age, race, and social class. He loved making people laugh. He could light up a crowd with an animated story or a dance. He was always stressing the importance of exercise for both physical and emotional health. He would bike almost everywhere he went, and he practiced yoga well into his sixties. He was a man of peace, and he lived his life trying to bring some kind of peace and joy to others. James departed this life on Sunday, March 31, 2019 at his residence. 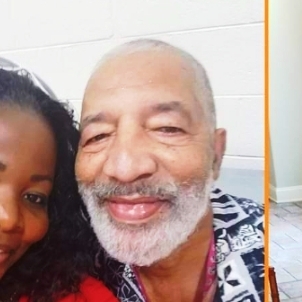 He was preceded in death by his mother, Cassie McGhee; father, Alvin McKenzie, Sr.; brothers: Henry Allen and Donald Williams; sister, Barbara Billingsley; sister-in-law, Yolanda McKinzie; and daughter, LaRhonda McKenzie. He leaves to cherish his memory a wife, Yolanda McKenzie; children: James McKenzie Jr., Symira (Darium) Milton, Kenya McKenzie, Cassie McKenzie, and Admiral Robinson; siblings: Alvin (Mattie) McKenzie, Paul McKinzie, Deborah (Louis) McKnight and Judy Day; 16 grandchildren, 5 great-grandchildren and a host of nieces, nephews, cousins and friends to include special friends: Ronnie Davis, Jimmy Duncan, Larry, Alvin (Tammy) Johnson and Pastor Steve Simpson. The family will receive friends on Sunday, April 7, 2019 from 3-4 PM in the William V. Powell, Jr. Memorial Chapel of Unity Mortuary with the Celebration of Life Service to follow with Pastor Steve Simpson officiating. The final resting place will on Monday, April 8, 2019 at 2 PM on East Tennessee State Veterans Cemetery, East Gov. John Sevier Highway, with full military honors. A white dove release will conclude the services. 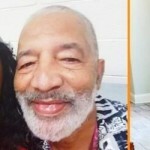 This obituary was posted on Sunday, March 31st, 2019 at 9:43 am. My heartfelt prayers and condolences to the McKenzie, Davis and Billingsley Family. Papa you will be forever missed.